Zōjō-ji is one of the major Buddhist temples in Tokyo, one of the 2 family temples of the Tokugawa Shoguns who ruled over Japan from 1603 until 1868 during the Edo period. Zōjō-ji is part of the small group of major Tokyo religious sites alongside Sensō-ji and Meiji Shrine. 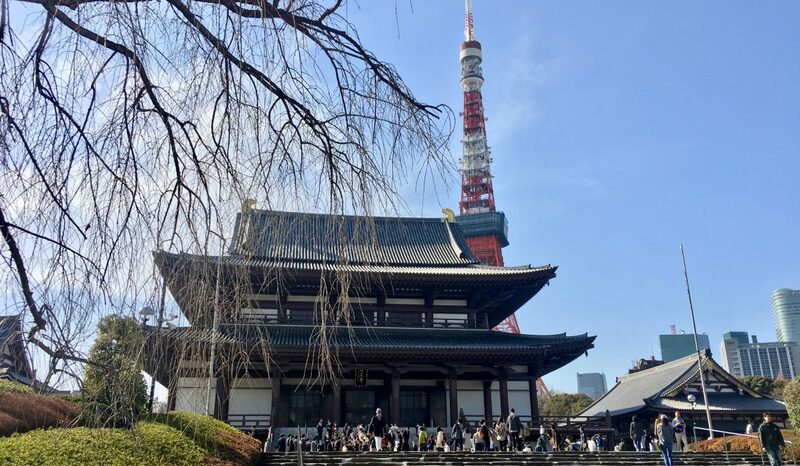 Its location close to Tokyo Tower provides a not-to-miss photo opportunity as you can see on the photo at the top of this article. However, there is much more to see than the main hall with the tower in the background. The temple belongs to the Pure Land school of Buddhism, one of the popular schools of Buddhism in Japan. It was established in 1393 (at its current location since 1598). At its peak, there were 120 buildings in the temple complex. 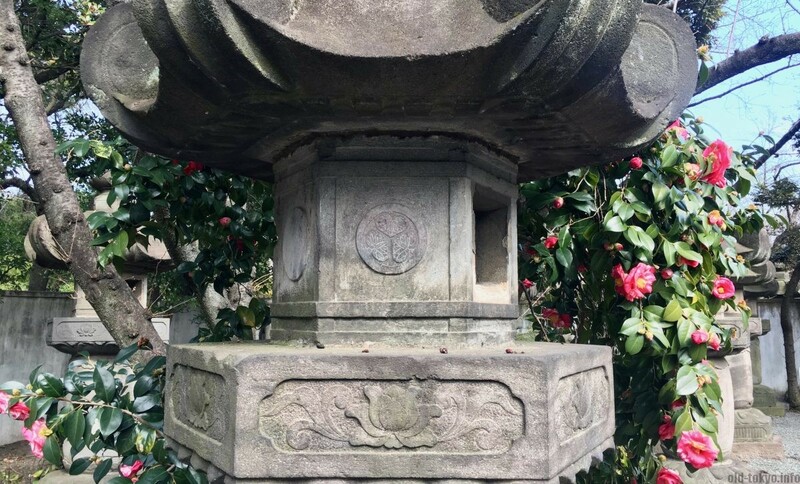 Unfortunately, due to decline of Buddhism after the Edo period and destruction during World War II, only one major structure has survived: the main gate built in 1622 (the sangedatsumon, number 1 on the map at the bottom of this article). What makes this temple special is the relationship with the Tokugawa clan. The other such temple in Tokyo, Kan’ei-ji, hosts most of the surviving old buildings in Tokyo. 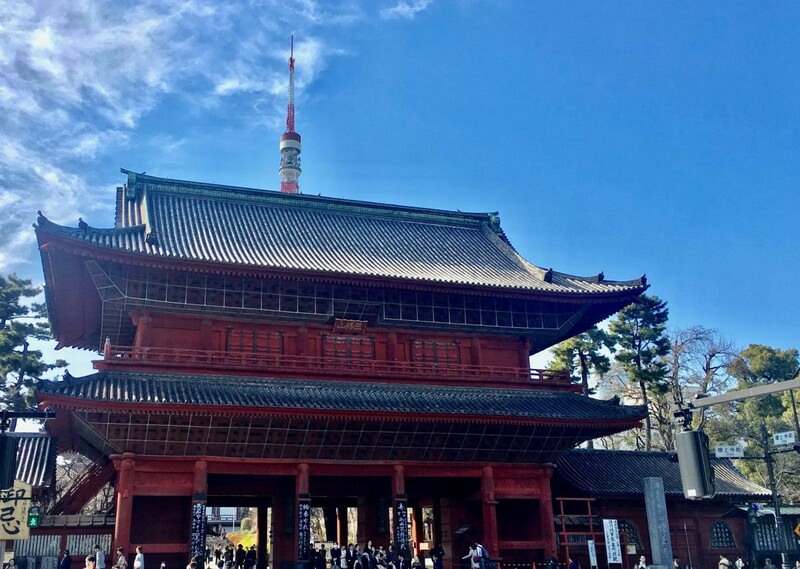 Rather than the main gate and the temple building of Zōjō-ji, it is the Tokugawa Mausoleum (number 2 on the map at the bottom of this article) at the back of the temple that steals the show. Please note an entrance fee is required. A small courtyard closed off by the Inuki Gate groups a number of large grave towers. Each of the grave towers are originals, but some were not intended as the actual grave of the Tokugawa Shogun. Six Tokugawa Shogun and their wives (a couple with their own grave tower) rest in this small mausuleum. Some of the grave towers are in bronze, reflecting the money available at the time to give status to the deceased. The names of the shogun (and/or wive) are put on a separate wooden signboard (Japanese only). Hidetada (the second shogun: reign 1605-1623) used to have his own mausoleum on the Zōjō-ji grounds, it was called the Taitoku-in Mausoleum, after Hidetada’s posthumous name. He used to have a wooden grave tower in this mausuleum, but when that burnt down, he was added to the grave tower of his wife Gou. In fact, all of the shogun had their own mausoleum with their own gate, but a lot of things were re-arranged during the years that passed. For example, the bronze Inuki Gate used to be the gate for the mausuleum of Shogun Ienobu (reign 1709-1712). The gate to the Taitoku-in Mausoleum is still there, but was heavily renovated. Not all of the Tokugawa Shogun are buried here at Zōjō-ji. Two of the most famous Shogun are buried in Nikkō (Ieyasu and Iemitsu). 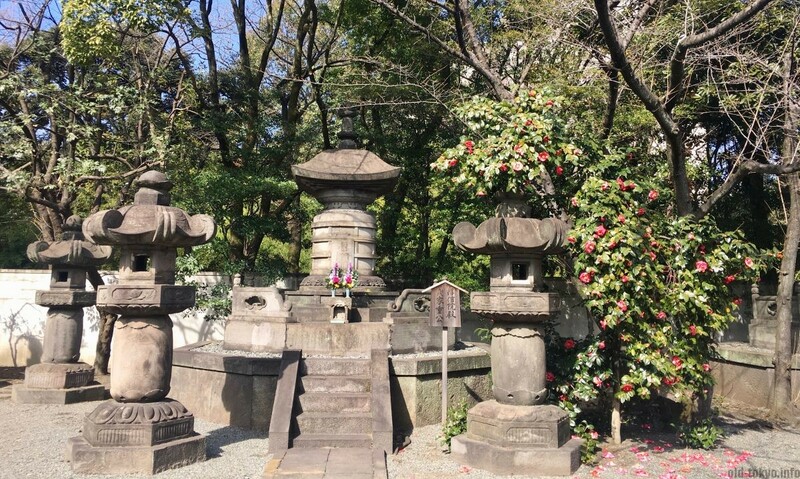 Other graves are at Kan’ei-ji (graves are private) and in the Yanaka Cemetery (Tokugawa Shinobu, the last shogun). 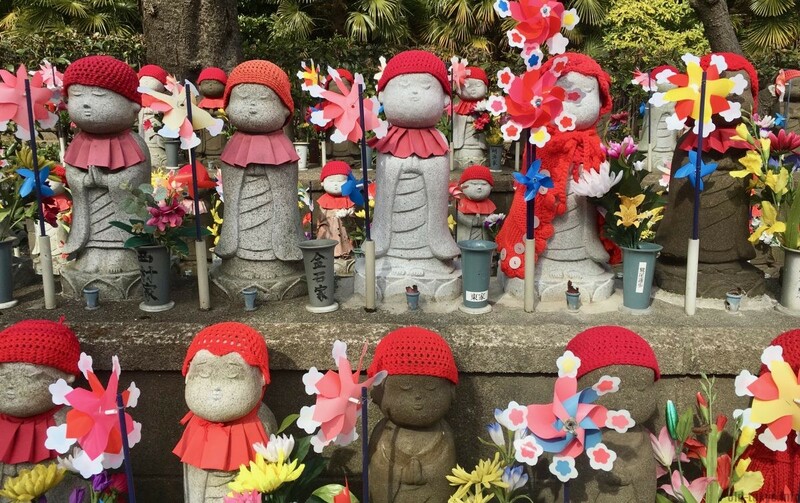 1000 Guardian Deities of Children (sentai-kosodate-jizō, number 3 on the map at the bottom of this article): next to the Ankokuden and the Mausoleum are about 1000 little statues dedicated to the safe growth of children, but also as memorial for stillborn or miscarried children. They are very colorful with a red hat to keep their head warm. Treasures Gallery (takaramono tenjishitsu, number 4 on the map at the bottom of this article): under the main temple building is a museum (entrance fee required) displaying treasures acquired by the temple of the years, including a 1:10 scale model of the former mausoleum of Hidetada. The main highlight in this museum was for me the Five Hundred Arhats Scrolls made by Kano Kazunobu (1815-1863). As the work cannot be shown in its entirety, the scrolls on display change every now and then. This work depicts arhats with strong character in thick colors.